Last year I sold one of my litter box decals (click HERE) to a customer and usually I don’t get to see where the customer places my little litter box sign. 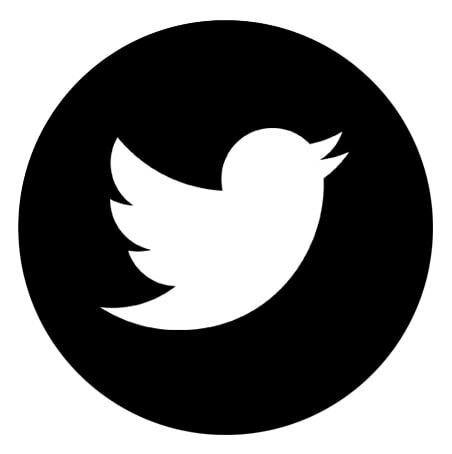 But today I’m sharing one of those cases where I do get to see how my decal was used. 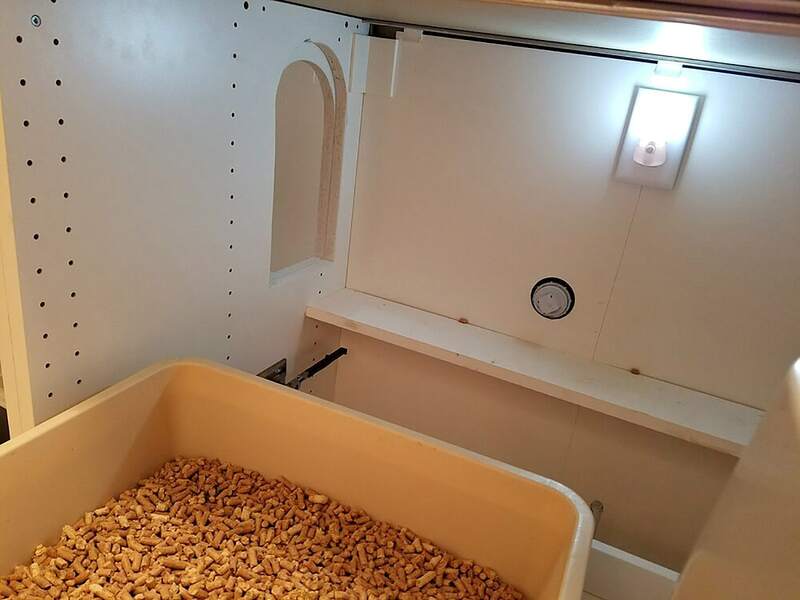 I was floored when I saw what an amazing litter box enclosure Don and Michele built in their home and I want to share it with all of you today. 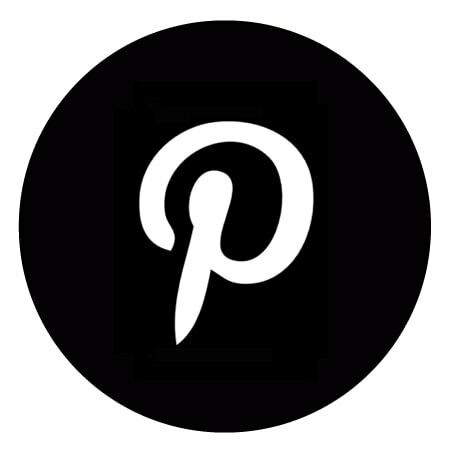 I was so excited when Michele gave me permission to share their photos with you which are also on the Ikea hackers website. I have never seen such an impressive DIY litter box enclosure. 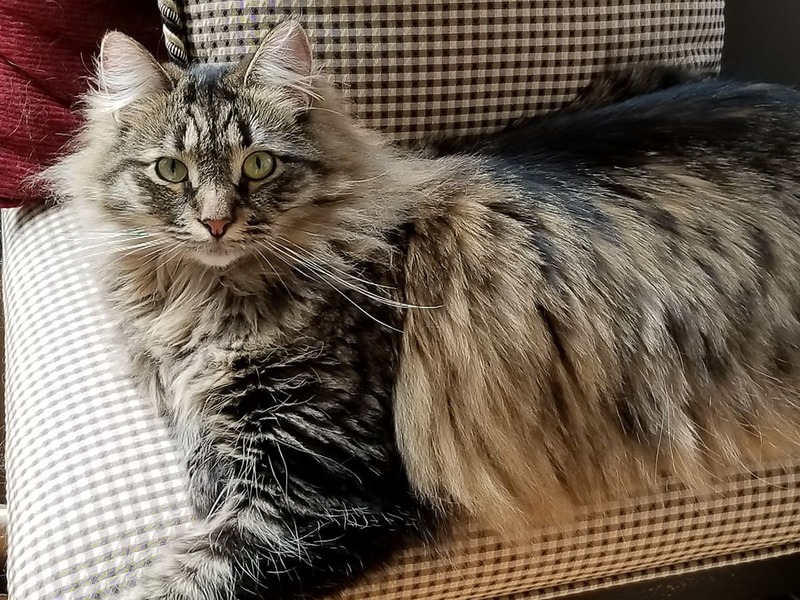 They have three kitties now, Mollie and Bella who are Russian Siberians and Debbie who is the last of their rescue cats. Unfortunately not too long ago they lost their rescue Maxy and two Raggamuffins Sherman and Sebastian. 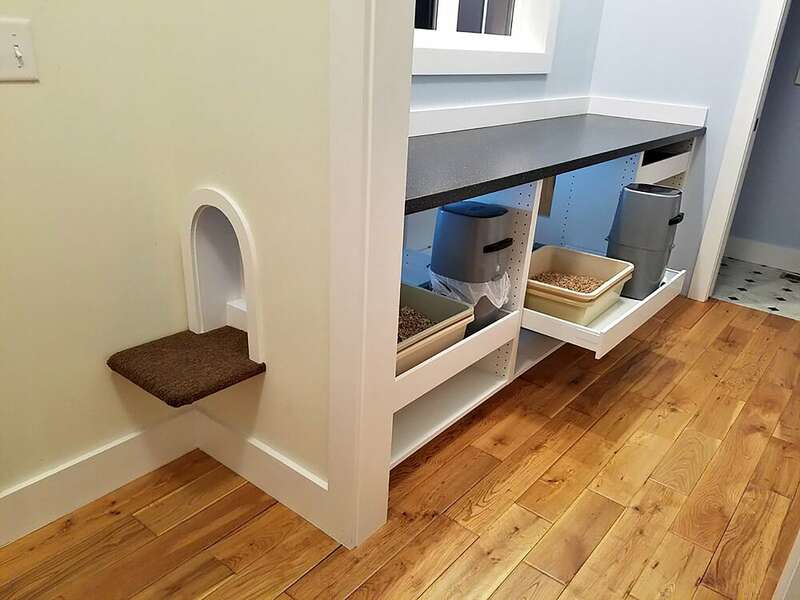 You could build this litter box enclosure with other cabinet combinations as well that fit your space better. 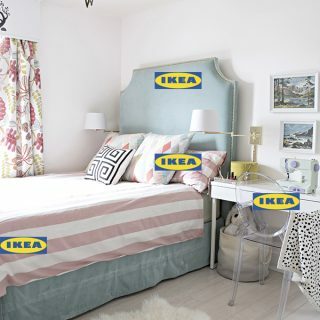 Ikea has so many variations or maybe you have an existing situation in your house where you are able to customize a cabinet and cut out a wall hole for easy access. 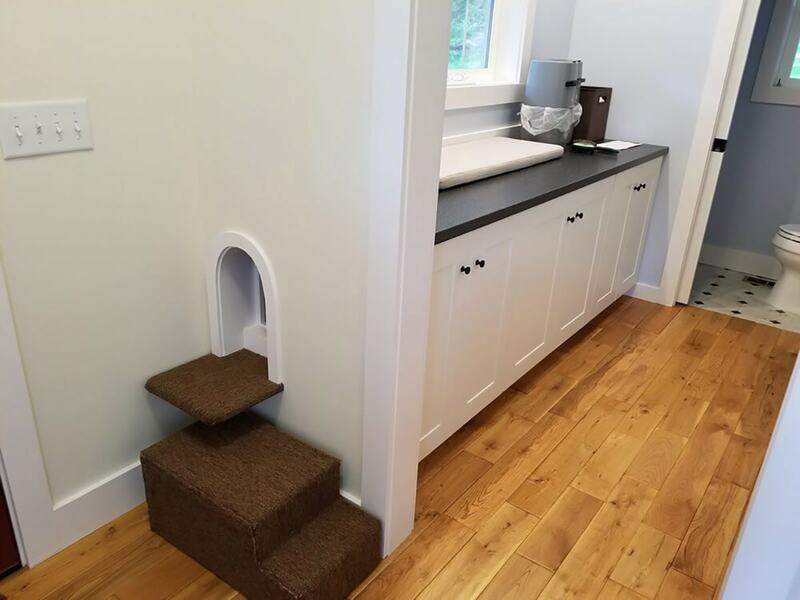 Michele and Don didn’t like their new but cluttered mudroom and decided to come up with a solution to hide their litter boxes in that little space adjacent to their powder room. 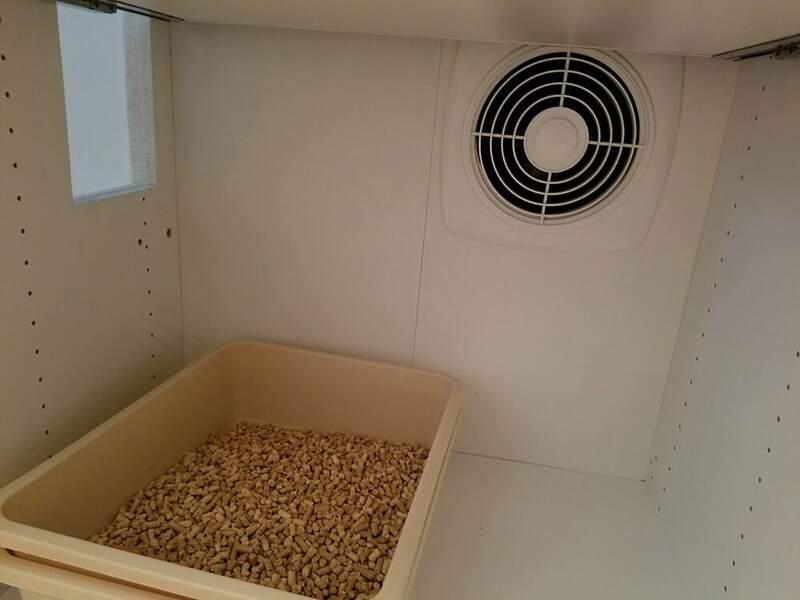 For them the measurements of the Ikea SEKTION cabinets were a perfect fit and turned their mudroom into an amazing DIY litter box enclosure room. 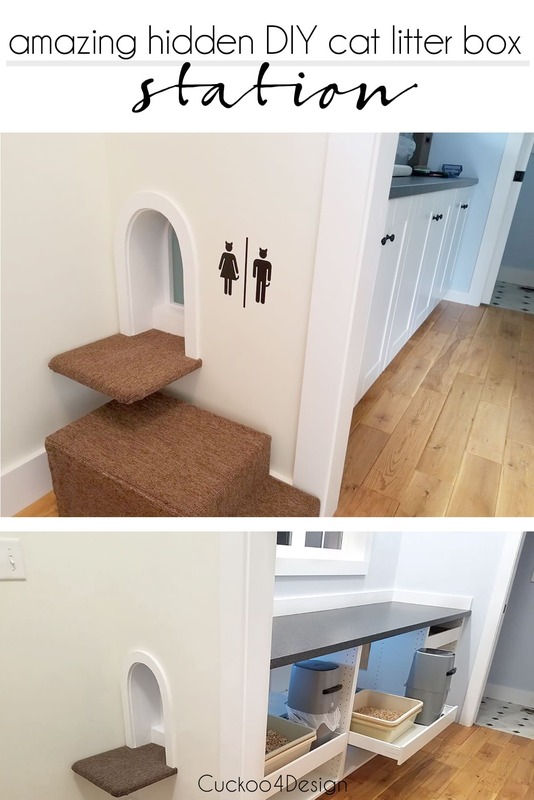 A little archway entrance was cut out into the drywall and cabinet walls so the cats can enter the litter box enclosure. 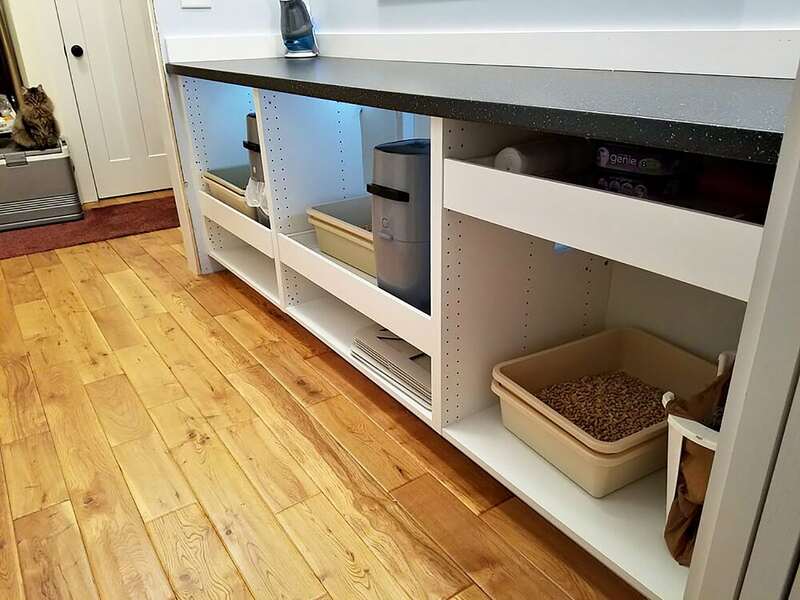 The litter box enclosure has built walkways along the back end of the cabinets which are connected by more cutout door holes so they can access the multiple lined up litter boxes. Each cabinet section features a motion sensor nightlight and motion activated exhaust fan which is probably my favorite feature of the entire setup. I’m so jealous! I’d love to have the stinky air taken right outside. Seriously who’s with me? They actually connected the light and fan on the same motion sensor similar to the way a lot of offices have their bathrooms set up. I have no clue how that is done. I hate electrical work. There are Youtube videos that describe setups like this or you could certainly buy a separate large battery operated nightlight like this one HERE which makes cleaning the litter boxes so much easier and adding a separate fan to each cubby. This is definitely something an electrician should answer for you. There are three litter box setups for easy cleaning and access. Here is Mollie above sitting on a box in the background overlooking the litter box enclosure setup and below lounging on a chair. She really reminds me of our King Harry. Such a beauty. I love the idea of being able to pull out the drawers and scooping the dirty litter right into a little covered trash can. 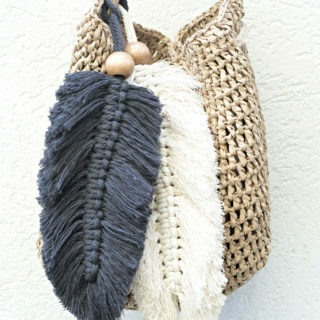 These trash cans are wonderful and nicely hide the stink (click HERE). To me this is total luxury and spoils the cat owner tremendously. It really would make my life so much easier and less smelly. 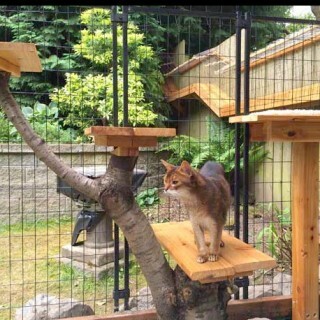 Michele also shared another one of the other impressive things her husband Don has built for their cats which is a heated cat house for their outdoor cat Debbie who was born on their property and is semi-feral. The house is attached to Michele’s office window so she can interact and watch their little spoiled outdoor kitty. How amazing is that heated cat house? It even has an easy access door in the back of the house. So much better than my cheapo heated igloo (click HERE to read the post). But I’m sure any outdoor stray cat would be happy to have either one of them. 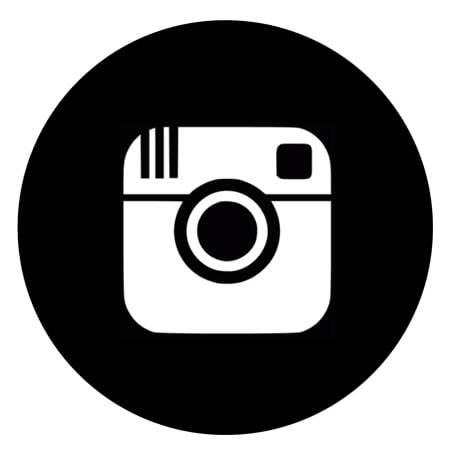 I’m convinced that they should sell plans to their designs or build and sell their creations. Bear with me this week if you aren’t thrilled about cat posts. 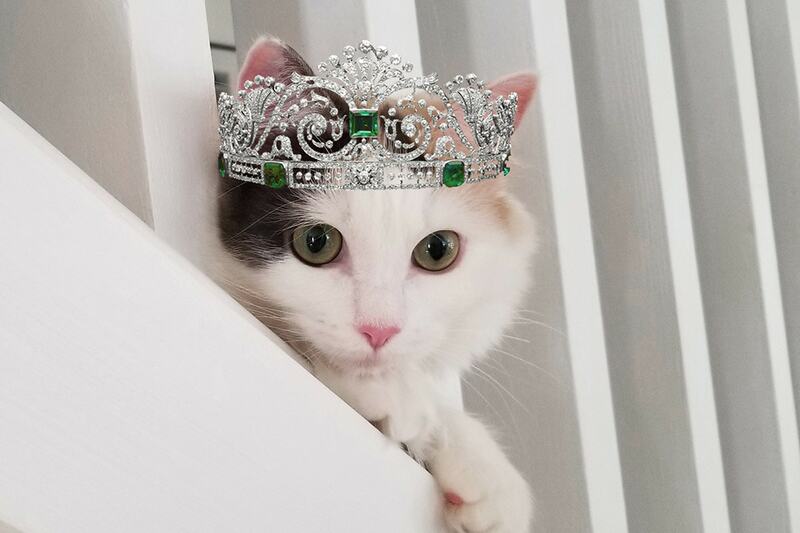 This week will be all about cats but next week I will be participating in a summer home tour series again and sharing a new look for our living room. I can’t wait. We have a beautiful kitty named Romeo. We rescued him 3 years ago. I love my cat to bits but will not buy him a cat tower. I think they are so ugly and will interfere with my decor. 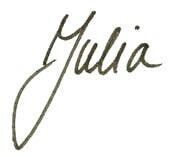 Any suggestions Julia. He’s an outdoor cat so he does get some entertainment outseide the home. Thanks so much. 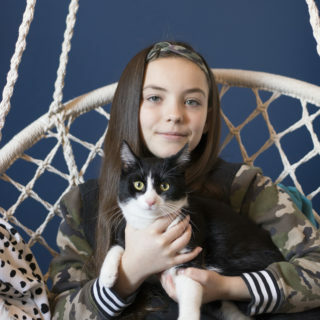 I love that you love cats and are always taking them in and caring for them. You have a big heart. Cat lover here. Love how this is enclosed and tucked away but super easy for the owner to get to and clean out. 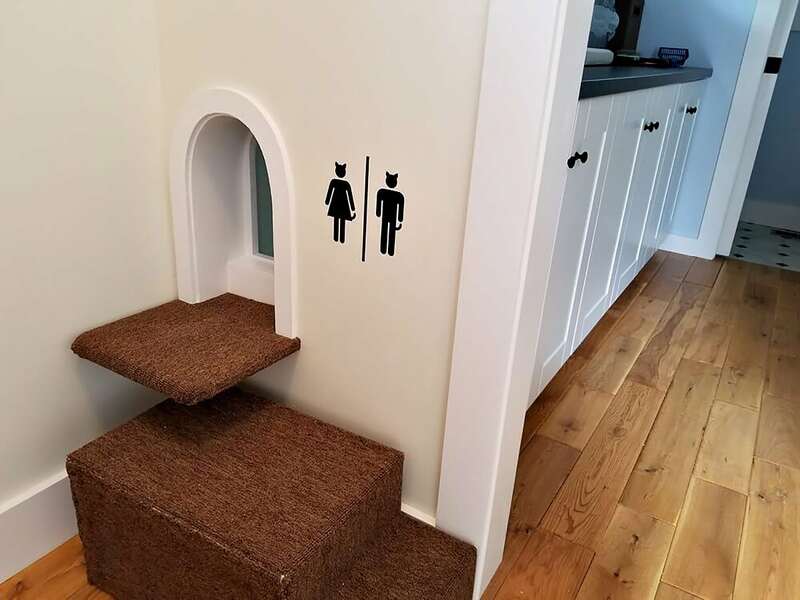 Have to admit that right now my cat pretty much lives in the basement so his litter box is kind of out of plain sight but would love to figure out a way to do this if and when we ever get a cat who isn’t quite so shy of our dogs. I hope your kitty can get used to the dogs. We also have one box in the basement and several upstairs. This set up would be so much better. what a clever way to address the litter box issue! looks great! 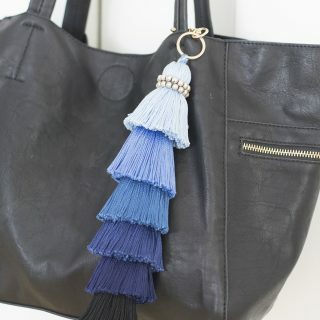 I Know, I want it! You should say Bear with me rather than say Bare with me. Did you get paid to write this article? I knew that going into Jr. High. Sometimes the way you phrase things to someone else can be hurtful. I grew up in Germany and in junior high I wasn’t even speaking English yet. This is my second language and I still do make mistakes while writing or speaking it. So yes when someone points it out the way you do, it hurts because I’ve tried my best to learn your language. And no I didn’t get paid for this post. 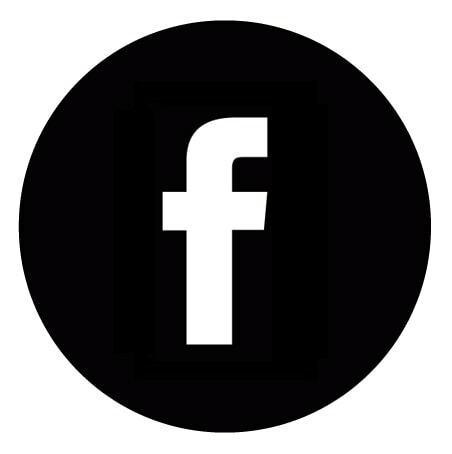 I wrote it because I love the project my customer created. I’m sorry if my mistake offended you. Julia, as a native English speaker who has learned two foreign languages (including German, your mother tongue), and who is also an English teacher in Austria, I was offended on your behalf by the comment above. 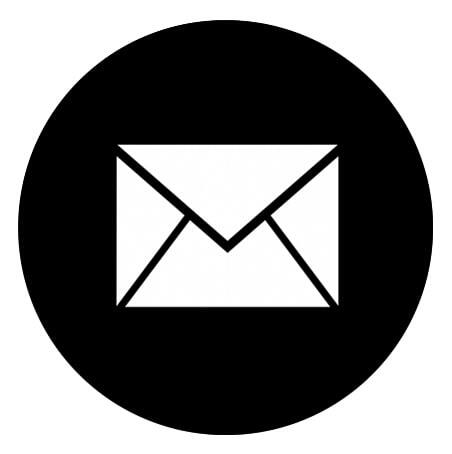 Every time I read your posts, I’m impressed by your ability to write so well in a second language. Believe me, I struggle daily with expressing myself in German and always appreciate the effort people all over the world make to learn my language. Scarlet, most unfortunate you weren’t exposed to proper social graces. Your rude comment was out of place. The article was written for real people. I’m sure God will forgive her slight error. Thanks so much but this time it’s not my idea and the amazing idea of someone else. I’m glad they are letting me share this with you. That is an amazing idea. I wish my house were laid out so I could do something like this.